ILARIA welcomes you and graciously sees to all of your needs during your stay. From reservations to check-out, she guarantees you a pleasant and relaxing stay. PERIKLES coming soon…..!! 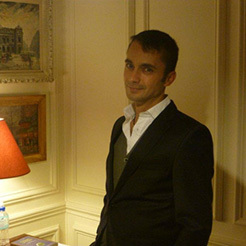 From his Greek hometown and together with Ilaria will manage your entire stay and pamper you with delicious local specialities from breakfast to light snacks throughout the day. 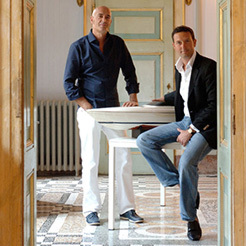 SERGIO & MAURO are the founding partners of Officina Italian Design (www.italianadesign.it) and together they’ve developed a family’s property with love, devotion and the strictest attention to detail. A big thank you to the team at OFFICINA ITALIANA DESIGN who tirelessly worked on the creation of this project. 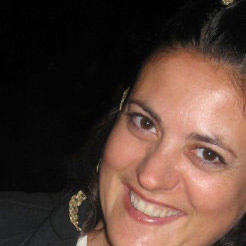 Valentina, who coordinated and followed all the development stages of the project, all local and common use permits. Do you need to know where any particular gas or water pipe goes? Just ask her, she knows it all. Alberto, who took care of the technical and design aspects and revised thousands of times the possible positions of swimming pool and parking lots. He definitely will be the first to take a dip in the pool! Alessandro, who took the photos and moved things around at least a thousand times until he was able to create a look worthy of a movie set. . . until the furniture arrived! David, who was involved in developing the images for the logo… so all the different horse variations are now ready to take off! Daria, who together with Anita, supported and endured countless color changes to the walls and rafters.